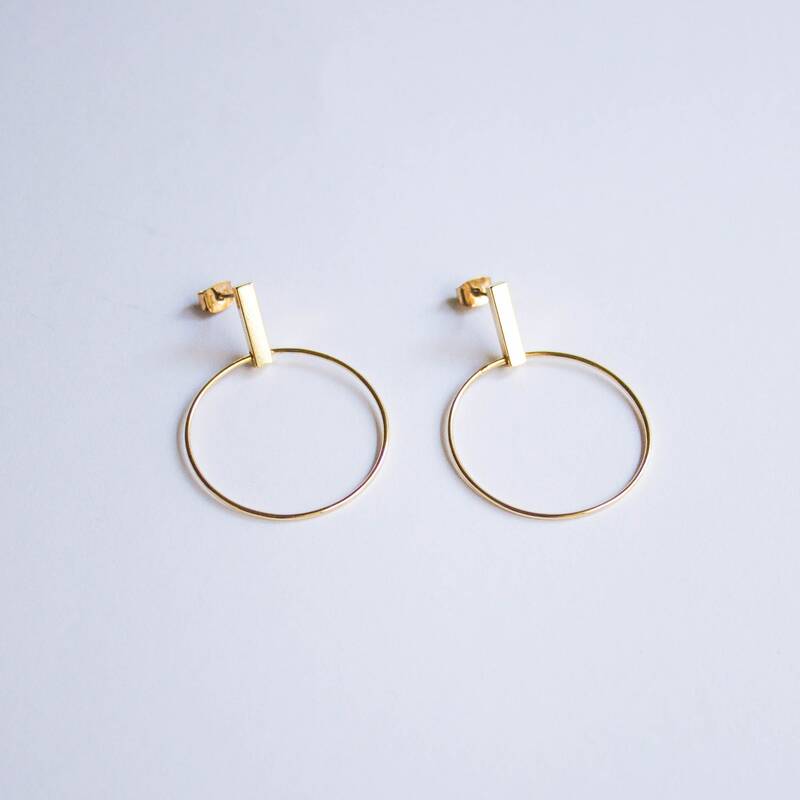 Simplicity. 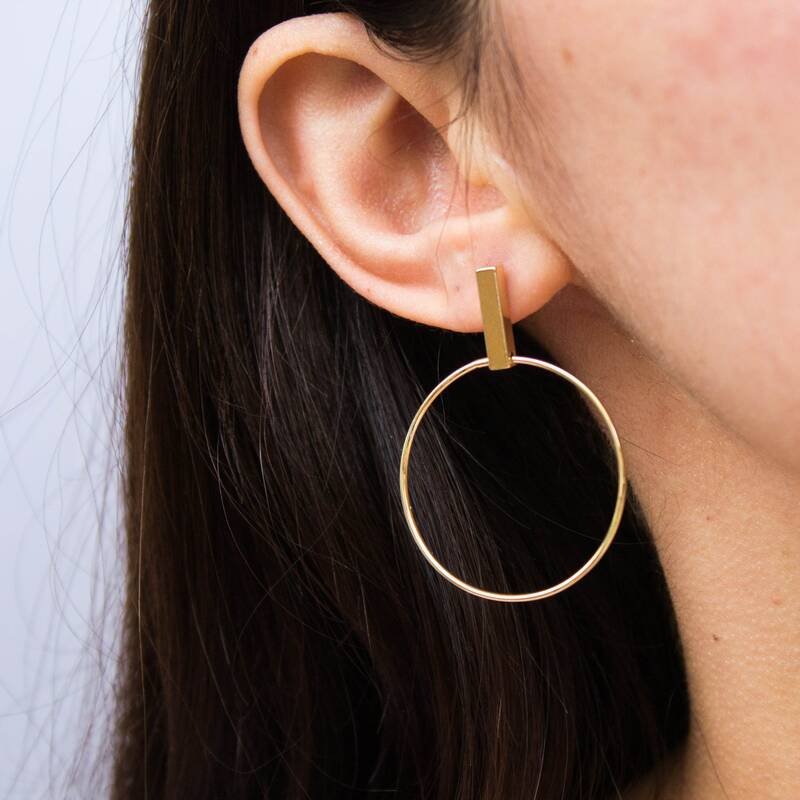 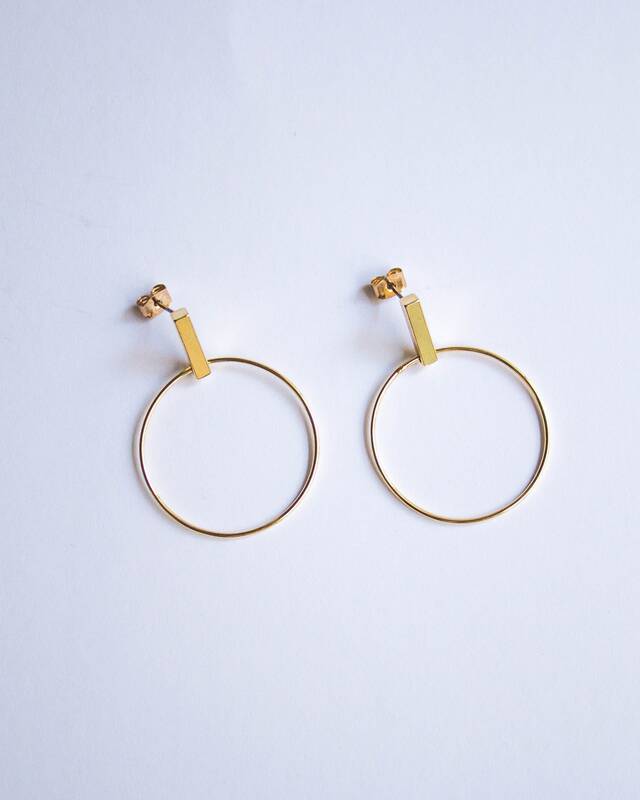 A circular shape suspended from a linear earrings stud. 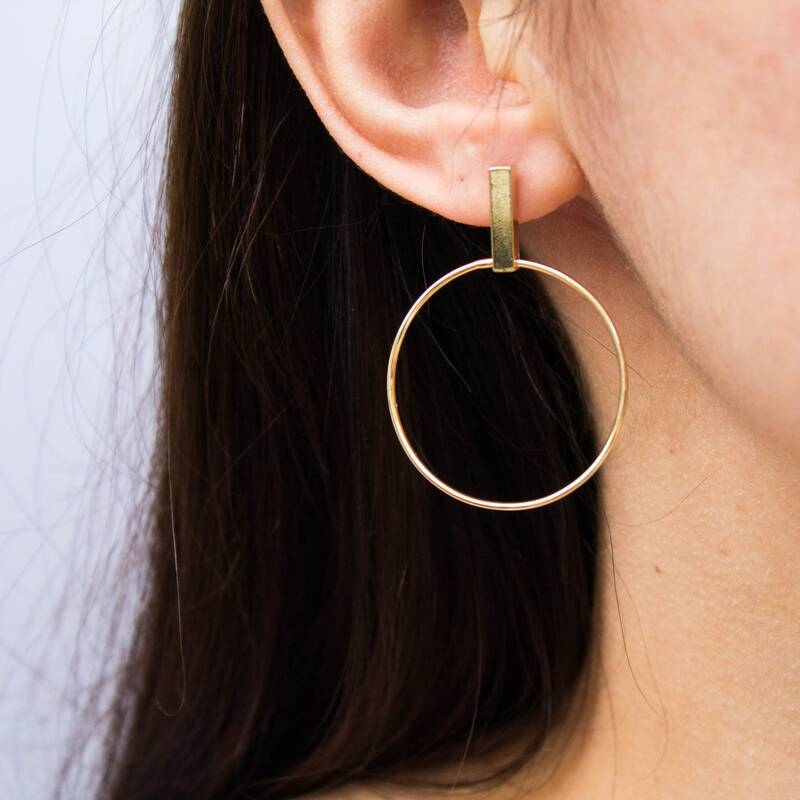 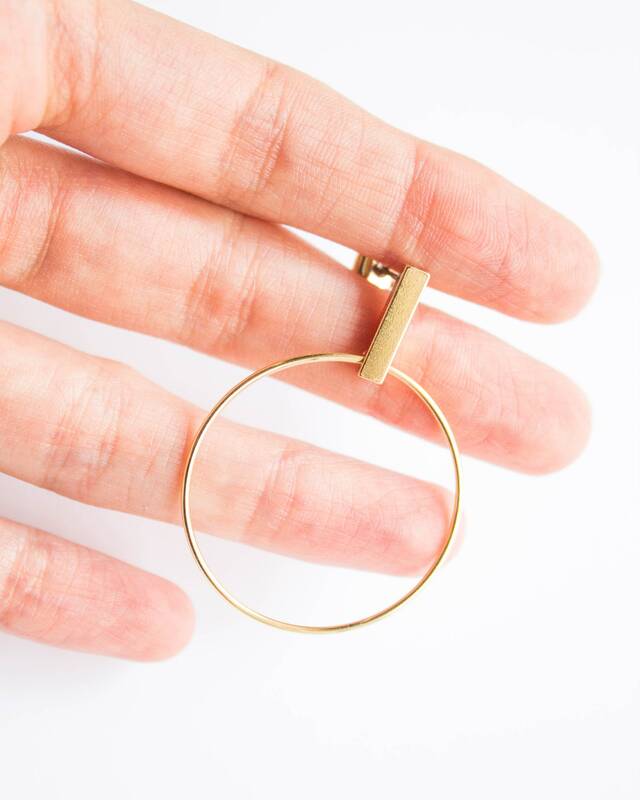 The hoops are 16K gold plated over brass.